Gaza terrorists say they will send 5,000 kites and helium balloons attached to explosives into Israel tomorrow. A group of Gazans that claims to be behind the initiative to send incendiary kites and balloons from Gaza into southern Israel said it would launch 5,000 of the arson tools on Friday. Friday is Eid al-Fitr, a holiday that comes the day after the month-long fast of Ramadan. Large protests are expected at the Gaza border on Friday. 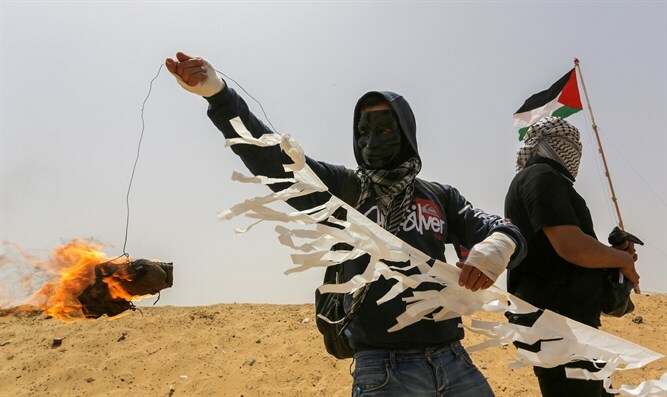 Also Thursday, the Israel Defense Forces fired a warning shot at a group of terrorists as they prepared to launch a helium balloon carrying flammable material into southern Israel. ← Beware of your false Prophets and false teachers here ? 53 percent of Israelis do not want Netanyahu to win fourth term, but 34 percent say he is most credible candidate.